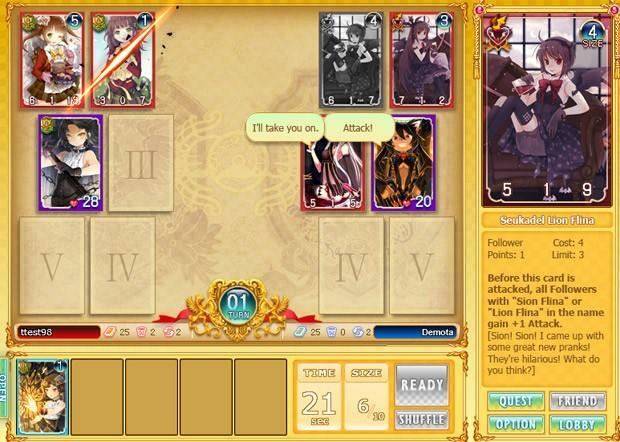 Sword Girls is a trading card game with an intricate backstory involving a World War against the empire of Lazion. The fierce fighting opens up rifts unleashing terrible beasts on the planet, ending the war prematurely. The organization of Crux unlocks the secrets of a new material and begins forging blades capable of fighting off the rift creatures. But now the purpose of these blades has come into question in the face of a new world war. 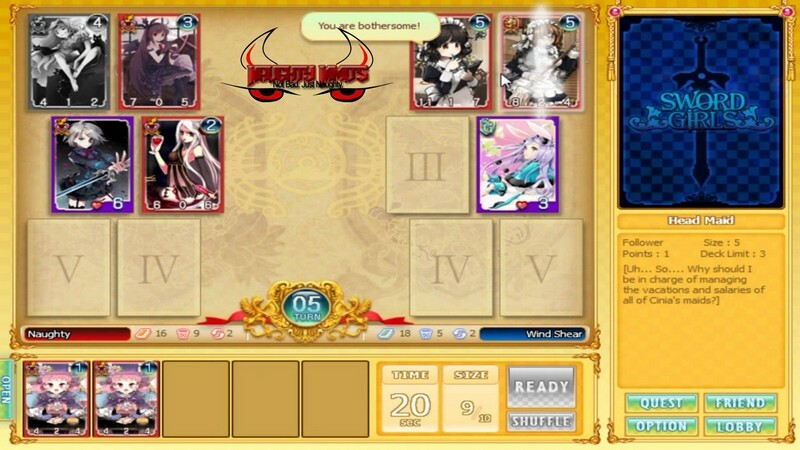 3 Category Card Battling: Matches are fought between two ‘Character Cards’ that do battle against each other. 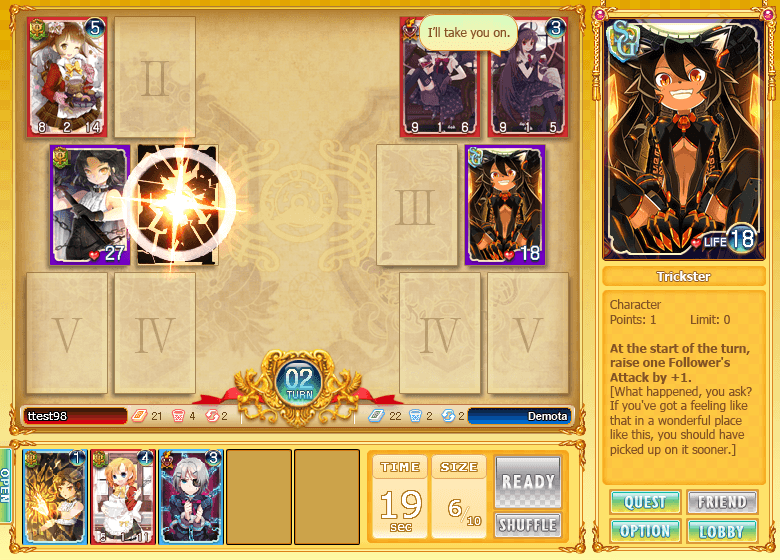 Each player is only allowed one character card, essentially representing themselves, and must defeat their opponent’s character card. This is done through follower cards and magic cards. Follower cards are infantry cards that buff the player and deal damage to the enemy. As follower cards die, your character card takes damage. Magic Cards grant temporary boosts to your team to help overcome the enemy. The character card itself has an overarching influence on your strategic actions and should be picked very carefully as you only get one. Card Crafting: Players can create their own cards by collecting crafting material and visiting the science laboratory. However rare cards are extremely difficult to come by, and only the luckiest players will get a hold of them. Player Versus Player: Players can use an ingame match making system to get paired up against opponents with similar deck strength. Ranked ladder matches will soon be available as well along with monthly tournaments. For those looking for casual practice, private matches are available. Card Variety: Over 500 cards exist in the game to collect, trade, and craft, making every match feel unique. 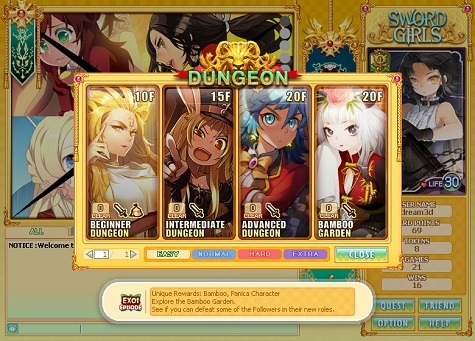 Dungeon Crawling: Players can do battle through dungeons, similar to a gauntlet system. 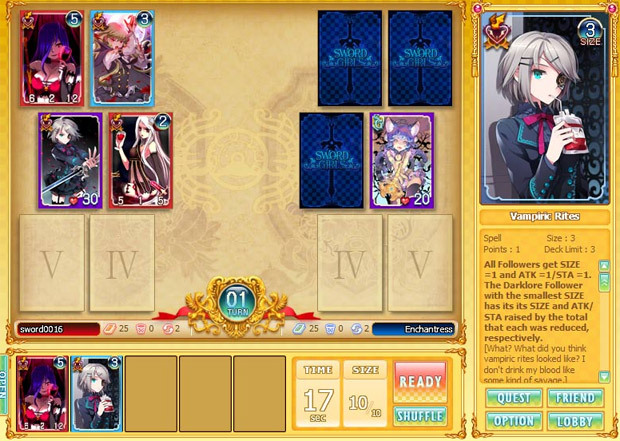 If the player survives to beat the dungeon boss, they can gain access to rare crafting cards. 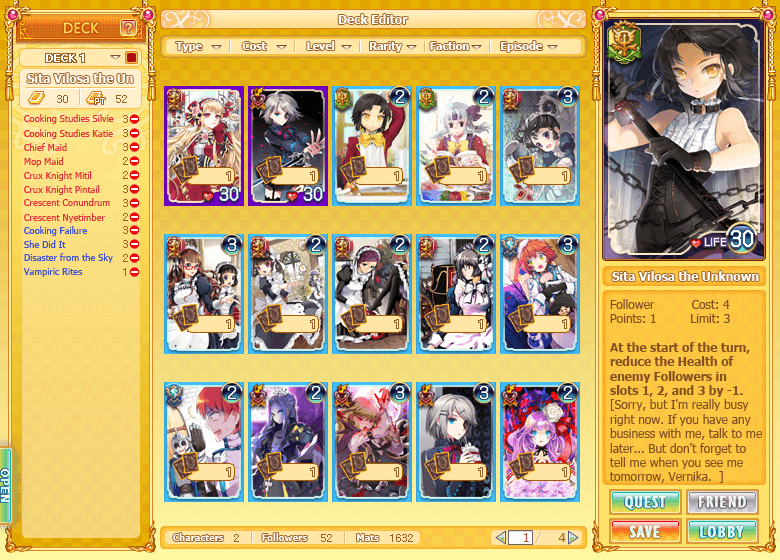 Sword Girls is an upcoming trading card browser game with a fluid art style, 500+ cards, and card crafting.